Installed at the PhD show (25-30 June, Nondon), our metamap consists of 120 images and maps that we have created so far. It attempts to draw relationships between the various maps. It is also a map/documentation of our trials and erros thus far to articulate our cosmology/cosmologies. 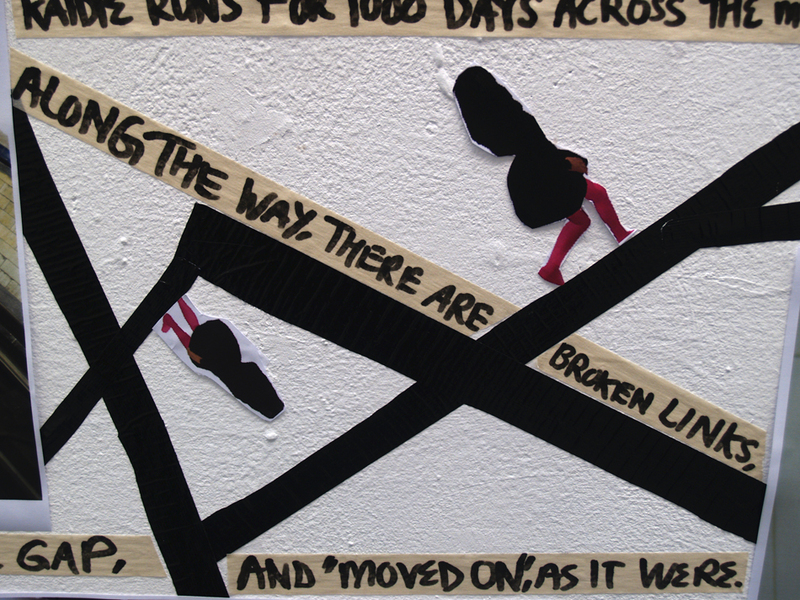 The 14-metre map also itself becomes a landscape, with small cutouts of Kaidie (or Kaidie’s avatar) running all over the wall and floor. 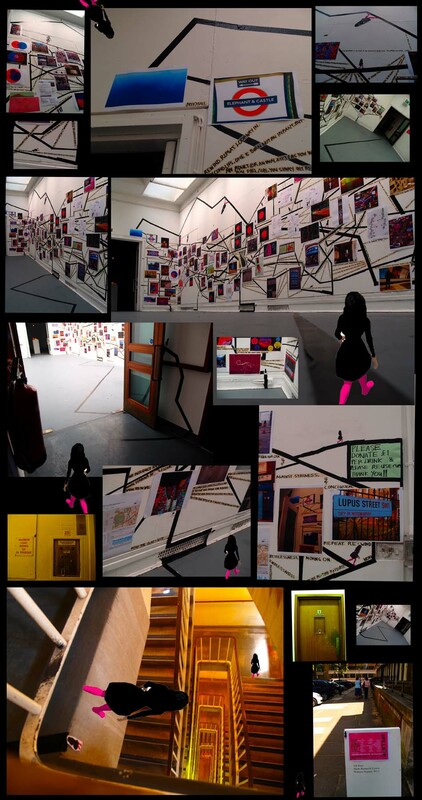 Hence, apart from tthe graphical representations of Kaidie on many of the A3 sheets of images, the paper cutouts of Kaidie-s ’emerge’, or rather, burst out into meatspace; and, apart from the 2D plane of the wall, Kaidie runs into the 3D real world of the Slade Research Centre (if the art world could be called ‘real’, that is), along the stairwell, lift, loo and even out into the streets. Here is one (more) map that maps Kaidie’s journeys. Follow the black lines and see where she leads you! This entry was posted on Saturday, July 3rd, 2010 at 13:49	and is filed under GIGS & EVENTS, MAPPINGS and tagged with chaosmos, city, existence, journey, life 3.0, travelling. You can follow any responses to this entry through the RSS 2.0 feed. You can leave a response, or trackback from your own site.